There are some moments that make your holiday something to remember. Napa Valley, one of the premiere wine destinations in the world, has lots of reasons to make your wine tour in San Francisco utterly memorable. You may just walk into any winery. But at Sterling Vineyards in Calistoga, you don’t do just that. It has an aerial tram which can take you from the winery’s main entrance up to the villa and the winery itself, which sits 300 feet high on top of the hill. The short cable car journey alone already makes for a memorable winery tour, allowing you to have awesome panoramic views of the countryside. As you arrive, be greeted by the all-white Greek styled building, and furthermore enjoy your wine tour there with gorgeous outdoor balconies and sips of Bordeaux and Burgundy. Napa Valley is also a foodie’s paradise, and it is home to most restaurants awarded with Michelin stars. Every restaurant can more or less offer a different dining experience but look for the ones that will leave all of your senses lingering, not just your taste buds. Auberge du Soleil is a hilltop restaurant in Rutherford which offers exquisite four-course fine dining and spectacular views of the valley. If you want a more informal pig-out, go to Gott’s Roadside in downtown Napa and enjoy good quality classic American diner fare and feel the fun, 1950s vintage atmosphere. You may also sample and buy artisanal treats at the Oxbow Market and take them on a picnic lunch. Pretty much everywhere is a good spot for picnics as you are surrounded by fresh air and the beautiful countryside. 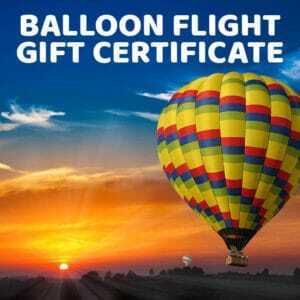 For a complete hot air balloon experience be sure to choose Balloons Above the Valley (BATV). If you’re staying in San Francisco, BATV’s San Francisco Balloon & Wine Tour Package makes it all the more convenient if you want to escape from the city and to the Wine Country.This two-day package allows you to enjoy a chauffeured ride all the way from San Francisco to the Wine Country, plus an onboard breakfast with mimosa, visits to wineries in Napa and Sonoma, picnic lunches at one of the wineries and olive oil tasting. Of course, there’s the sunrise hot air balloon ride which provides you uninterrupted views of the Napa Valley. Enjoy the picturesque countryside scenery, get energized by the warm rays of the rising sun while feeling the gentle breeze, and delight yourself in the peace and calmness that get you away from the hubbub from the ground. Don’t forget to bring your smartphones, DSLR’s, point-and-shoot cameras and GoPro’s to take pictures and videos of the neat rows of the vineyards, clusters of trees that dot the fields, rolling hills and deep valleys…. well, of course, you probably won’t forget that! The fun doesn’t end there… as you descend, you will be greeted by a sumptuous seasonal brunch which lets you and your newfound friends toast a sparkling wine and share the hot air balloon experience that you’ve just shared. And that’s not all! After the champagne brunch, you will have the option to go shopping and sightseeing before being sent back to San Francisco via a ferry (complete with free ferry tickets). It is your decision whether to make your wine tour in San Francisco just an ordinary holiday or make it truly memorable. Go to Napa Valley and choose activities that you think will leave a lasting impression on you, and you may like to do again!